Dancing With The Stars has announced another group of soon-to-be dancers. On Wednesday, Sept. 2, the show announced their Season 21 cast, and it includes a social media savvy phenomenon. Hayes Grier has been chosen to join Dancing With The Stars this season. While his name will be familiar to some viewers, it might not ring a bell with others, especially since he is famous because of his digital presence. So if you're a fan of the dance competition, here's your chance to get to know Hayes a little better. 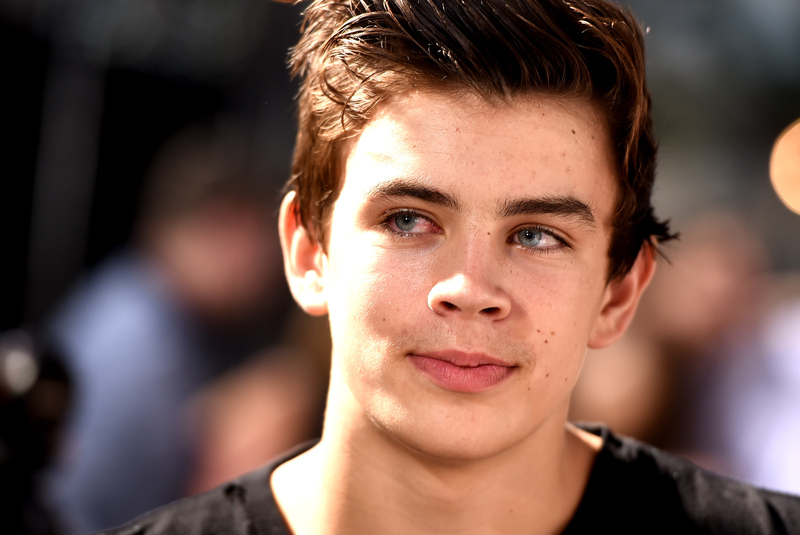 Hayes is a 15-year-old Vine star who shot to fame with the videos posted to his page. He boasts 4 million followers on the social network, and he has an impressive following on other social media sites like Twitter, as well. Hailing from North Carolina, Hayes is the younger brother of fellow social media star Nash Grier. Nash accumulated a large following by posting hilarious videos with cats, family members, friends, and other random props like fruit. He actually got so famous he was able to cross paths with Justin Bieber, with whom he is now friends. It definitely seems like Hayes is following in big brother's footsteps. Hayes has joined Nash on tour all over the United States in the past to meet fans and perform funny cover songs for them live. But now, he is breaking out on his own — and adding in a few new dance moves along the way. Even though he's so young, Hayes certainly has experienced having all eyes on him, not just in his viral videos, but also from being on tour and from being featured in teen magazines like Tiger Beat and J-14. He confessed in Tiger Beat that sometimes when he posts videos, "I like to run my mouth too much." Well, that trait will surely come out on DWTS. As can be seen in the challenge he took against his brother below, Hayes is a natural on camera and can definitely hold his own. We will have to see if his dance moves stack up to his outgoing personality. Hayes will be keeping some dynamic company on the show. The list of contestants includes Bindi Irwin, the daughter of the late Crocodile Hunter star Steve Irwin, Backstreet Boy Nick Carter, and controversial chef Paula Deen. The new DWTS cast member was recently spotted meeting up with dance pro Emma Slater in Los Angeles to work on the debut dance for the first episode. Catch Hayes and the rest of the cast on the new season of Dancing With The Stars, which premieres on Sept. 14 at 8 p.m. on ABC. Editor's note: In the past, Nash Grier has posted Vines that offended many people and were seen as racist, sexist, and homophobic. In July 2014, Grier apologized for a Vine he posted that included a homophobic slur. In addition, in December 2014, the now 17-year-old wrote an essay on Huffington Post explaining and apologizing for his past mistakes, saying in part, “From the bottom of my heart, I am truly sorry to each and every person I have ever offended.” Since that time, it seems that Grier has taken his apology seriously, changed his outlook, and not posted offensive videos. This post previously failed to mention Nash Grier’s past controversies.